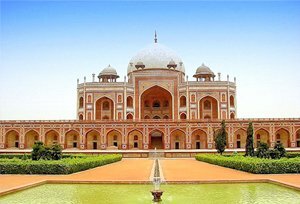 This morning you will be taken to visit Old Delhi - Former centre of Mughal Power, Old Delhi offers ancient monuments, narrow streets and bustling bazaars. 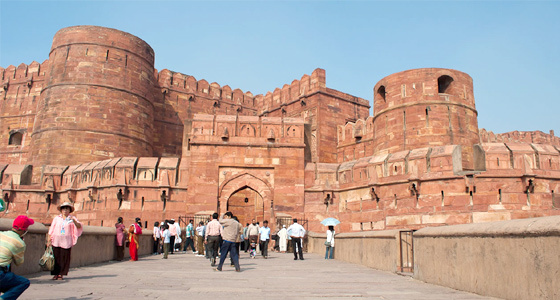 Visit the vast Red Fort, built in 1648, the Jama Masjid, the greatest mosque in India and completed in 1658 by Shah Jahan who also built the Taj Mahal, and the Raj Ghat, the simple memorial to Mahatma Gandhi. Afternoon the guests will have an opportunity to do a familiarisation of bikes. This session will include briefing regarding do/don't, road conditions, rules & regulations, etc. After breakfast ride to Agra. 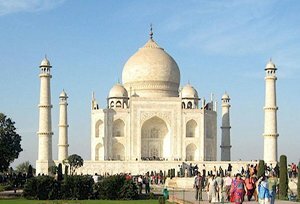 Thereafter visit the Taj Mahal, the guests will board the 'decorated tongas' (horse carriage) which will take them to Taj Mahal. Little needs to be said about this architectural wonder which is always the soul raison-de-etre for every tourist's visit to Agra. Built by Shah Jahan, the Taj is a white marble memorial to his beautiful wife Mumtaz Mahal. This monument took 22 years to be completed and was designed and planned by Persian architect Ustad Isa. Apart from it's stunning design balance and perfect symmetry, the Taj is also noted particularly for its elegant domes, intricately carved screens and some of the best inlay work ever seen. Also visit the Red Fort. In the evening witness magic show. Magic show - There is nothing that captures the magical spirit of the lad as much as the conjuror who enthralls his audience with sleights of hand and a range of tricks. Only the adventurous can volunteer to be sawed in half. After breakfast ride to Orchha. 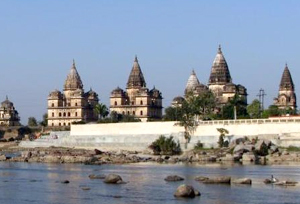 Morning tour of Orchha - walk by the century old temples and forts, each with its own poignant history, and rest amidst the beauty of the ruins. Amongst the various imposing edifices, of particular interest are the Jahangiri Mahal, built by Raja Bir Singh Deo to commemorate the visit of Mughal Emperor Jehangir, the Raj Mahal and the Laxminarayan temple, both noted for their fine frescoes and mural paintings. Visit the Eastern group of temples which consists of 3 Hindu and 3 Jain temples, their proximity attests to the religious tolerance of the times in general and of the Chandela rulers in particular. After breakfast ride to Ranthambore. 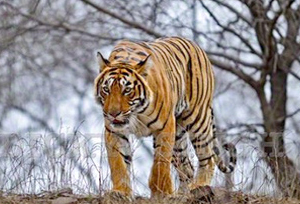 Ranthambore Wildlife Sanctuary - Rajasthan's most renowned wildlife sanctuary, it is 400 sq kms of dry deciduous forest, perfect natural habitat for tigers, and is set in the Aravalli and Vindhya hills, dotted with pavilions and dominated by a hilltop fort. Ranthambore was one of the hunting preserves of the former rulers of Jaipur and because of this the Maharajas ensured the environment was preserved and the forest and their inhabitants well protected. It has a good population of tiger and their prey species, and has been declared a "Project Tiger" reserve. Wildlife includes blue bull, black buck, spotted deer or chital, wild boar, a large variety of bird species and, if very lucky, the rarely seen leopard. Early morning and late afternoon, game viewing inside the sanctuary by jeeps. After breakfast ride to Pushkar. 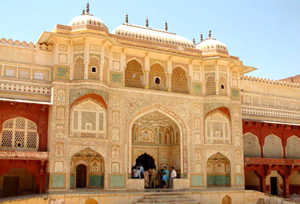 Afternoon tour of Pushkar - is a sacred place for the Hindus. 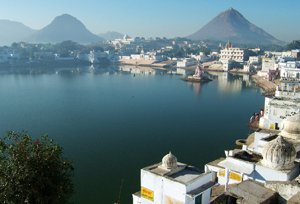 The sacred lake at Pushkar is said to be as old as creation itself. It is the only place in India with temple dedicated to the creator of the world - Lord Brahma. Every year on a full moon day in end October/November. There is a very colourful camel fair held popularly worldwide known as Pushkar Fair. Jaipur - Encircled by the rugged Aravalli hills with numerous peaks crowned by imposing forts, Jaipur the capital of Rajasthan looks cradled and well protected. It takes its name from Maharaja Jai Singh II, who in the early 1700s became king at the age of 13. He conceived & designed his new capital with exquisite buildings of rose-colored terracotta and broad tree-lined avenues exhibiting an astonishing model of city planning. 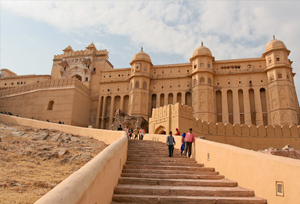 Tour of the impressive Amber Fort, situated on a ridge just outside Jaipur City. At the foot of the hill you will mount your caparisoned elephant for the slow but steady climb up to the main gate, making your entrance in the time honoured fashion. The Fort, completed in the early 18th century, took over 100 years to build and now, although deserted, offers a fascinating insight into the lifestyle of the Mughal ruling families. Afternoon drive to Delhi. On arrival in Delhi - check into the hotel.